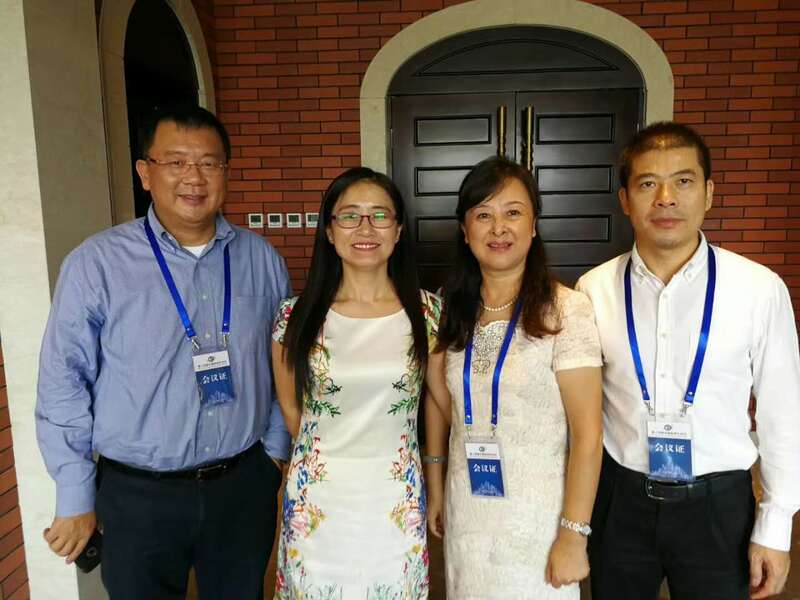 Sponsored by China Association for Standardization (CAS), co-organized by Quality and Technology Supervision of Hainan Province, the 14th China Standardization Forum was held in Haikou, Hainan Province on 21 September, 2017. The theme of this forum is “fully implement the standardization strategy to advance economic and social reform and development” . More than 400 participants, including experts from domestic and international standardization organizations and representatives from standardization technical bodies in provinces (cities) and industries, participated in the meeting. Mr. Zhang Xiaogang, ISO president sent a congratulatory letter, specifically. Madam. 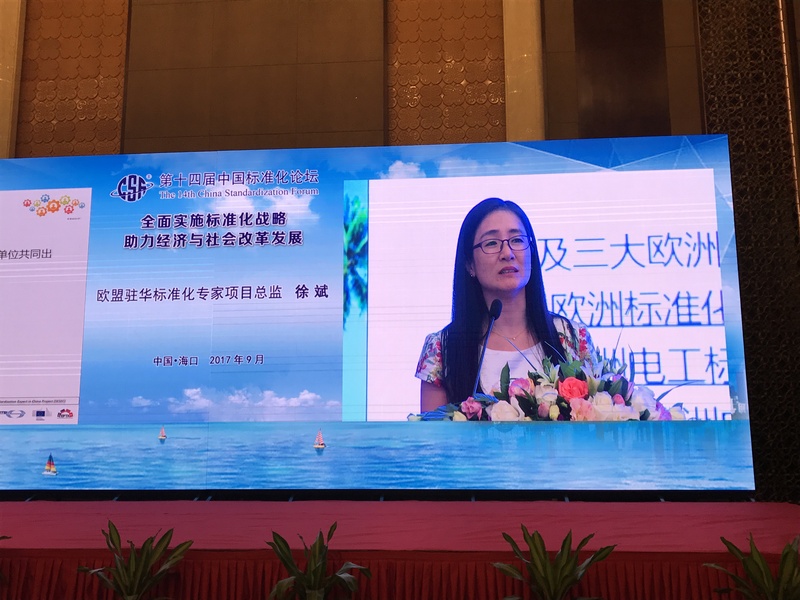 Yu Xinli, vice administrator of SAC made an interpretation on the revision of the Standardization Law, highlighting the breakthroughs of the revision, i.e. the construction of the system of standardization trial and demonstration, as well as the strengthening of the supervision on standardization. 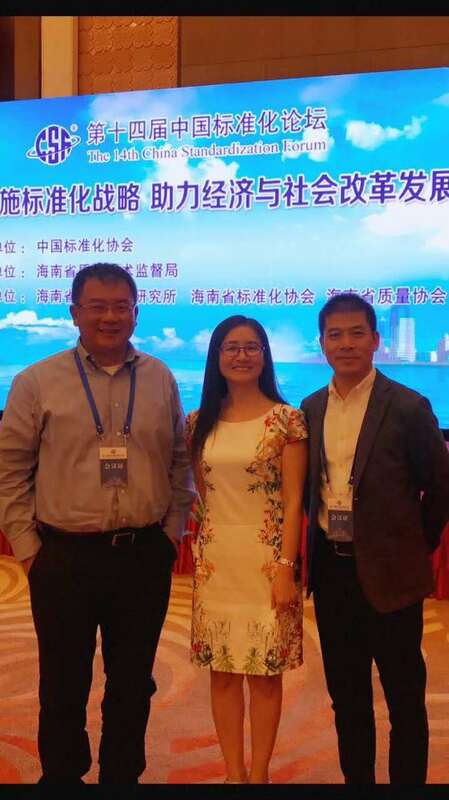 Representing 5 European standardization organizations, Dr. Betty Xu, the director of Seconded European Standardization Expert in China (SESEC), made a keynote speech on how European standards promote global trade in the forum. It gave audiences a new perspective for the development of standardization. The main contents in her speech included the introduction of European Standardization system, the basis of European standards and regulations, and how European standards support international trade, and so on.